60s & 70s | Wedding Wisdom, Etc. Carl Carlton’s version of “Everlasting Love” is my companion piece to “Bad Mama Jama.” The lyrics are far more interesting, as is the melody. The song has been recorded many times, but Carlton’s version will always be my favorite. His music may not be groundbreaking, but it certainly does hold up for over 40 years. Leave a message letting me know what you think. Last Sunday, my band, Best Kept Secret, and I had the privilege of performing at a benefit for White Plains Hospital being joined on stage by the amazing singer/songwriter Javier Colon at a benefit for White Plains Hospital/Mariano Rivera Celebrity Event and Golf Tournament. Javier is best known for winning the first season of The Voice, coached by Adam Levine. When, I asked him what he’d like to sing with our band, Best Kept Secret, he suggested two Stevie Wonder classics,“Signed Sealed Delivered” and “I Wish.” It was an extraordinary experience with Javier singing lead with Best Kept Secret backing him up. Most memorably was the four part harmonies created at the end of Signed Sealed Delivered. Since everyone has heard the original, I wanted to share this delicate duet by Ariana Grande & Kenneth Brian “Babyface” Edmond. Babyface has written and produced an astonishing 26 #1 R ‘n B hits, and 23 year old Ariana has a remarkable voice that brings comparison to 90s icons Whitney Houston & Mariah Carey. 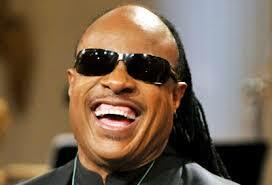 Stevie Wonder is nothing less than a musical genius. 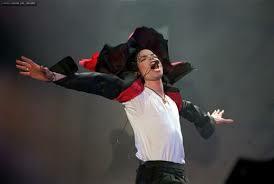 Calling out around the world, are you ready for a brand new beat? Summer’s here and the time is right for dancing in the street. All we need is music, sweet music. There’ll be music everywhere. There’ll be swinging and swaying and records playing, dancing in the street. Oh, it doesn’t matter what you wear just as long as you are there. They’ll be dancing. They’re dancing in the street. There’ll be laughing, singing, and music swinging, dancing in the street. Can’t forget the Motor City. There may be a very few fleeting moments when you might notice “Dancing In The Street” dating itself, and yet, most of the time, it sounds as fresh as it did when it was first released fifty-two years ago. A can’t miss dance treeasure. HAPPY MOTHER’S DAY. This song is truly terrific vintage disco. An undeniable classic. It’s timeless (and it still really works to get people dancing) but something about it whispers “last century”, which makes it quite charming. 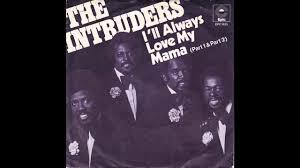 Actually, it was released in 1973, when the song was introduced to the country by the late, great Don Cornelius featured on his iconic TV show “Soul Train.” The Intruders were one of hundreds of bands that flourished during the disco era, but this one stands the test of time. And, as opposed to a lot of dance songs, this one has lyrics that not only make sense, but are sort of loving and poignant. While scrubbing those floors on her bended knees. Although my mother has passed on, I’ll always love my mama. Happy Mother’s Day to one and all! Carl Carlton wrote “Bad Mama Jama” in 1981, and it became an instant smash hit. It still works terrifically well as a timeless classic. Teamed with his 1974 breakout hit “Everlasting Love,” Carlton has been a strong force in pop music. The lyrics to “Bad Mama Jama” are about as trite as you could ever write them…but, as with so many other dance hits, the lyrics hold a back seat far from the bass, drums and synthesizers. The hell with lyrics, let’s dance. “ABC” by the Jackson 5 is a fantastic, never-fail dance hit. The arrangement is deceivingly complicated. The lyrics are delightfully clever as well. I must admit that until we started playing it in the band, I never correctly heard the lyric “Spell ‘me’ and ‘you,’ add the two! Check out the lyrics, and sing along. Sit yourself down, take a seat. From a historical perspective, it’s intriguing to know that when “ABC“ was released in February, 1970, it knocked The Beatles “Let It Be” off the #1 spot on the Billboard Top Ten list! Please leave a comment to let me know what you think. 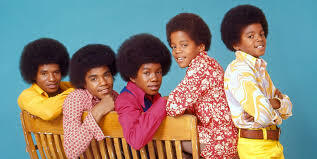 “I Want You Back” was written and performed by The Jackson 5 in 1969. 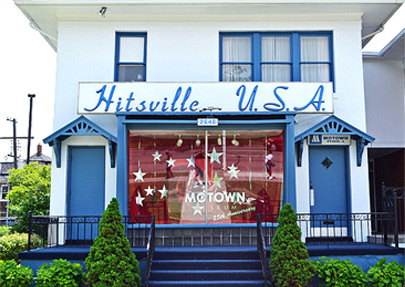 The song went on to #1 on the Billboard Charts and immediately became one of the landmark songs of the Detroit-based Motown Records. The piano glissando sliding into the instantly recognizable guitar groove and iconic bass line is enough to pack a dance floor before the first lyric is sung. What keeps the song fresh, forty-seven (!) years after its release…is the memory of when the world first fell in love with the astonishingly talented and charismatic eleven-year old lead singer of the Jackson Five. Tragically, as his global artistic acclaim and record-breaking record sales grew to astonishing heights, so did his well-documented charges of sexual child abuse, bizarre behavior and endless facial surgeries. However nothing, including his drug-induced death, ever deterred the public’s adoration of the “King Of Pop.” Somehow the thing we chose to remember is the joy his talent brought us. The prolific writing duo of Nick Ashford & Valerie Simpson, who would later receive acclaim as one of the best vocal duos in the history of contemporary music, wrote the song “Ain’t No Mountain High Enough” for Motown superstars Marvin Gaye & Tammi Terrrell. That original 1967 recording was very successful, but only went to #19 on the Billboard Charts. It wasn’t until Diana Ross re-recorded it in 1970 that it went to #1. With two very different arrangements, “Ain’t No Mountain High Enough” was recorded by two of the most iconic acts to come out of Motown within the short period of three years, each time reaching the Top 20. Although Diana Ross’ version sold over 1.5 million copies, it’s the original Marvin Gaye & Tammi Terrell version that has stood the test of time. Why, or how, a work of art becomes so deeply ingrained in the pop culture of generation after generation is impossible to specifically articulate. But very few pop songs have remained so eternally fresh, and so solidly entrenched into the “Mount Rushmore” of great American songs as “Ain’t No Mountain High Enough,” With its emergence into the soundtrack of so many movies, the song is constantly being reintroduced to new generations of both music and movie lovers. It truly is a terrific song, and remains a perrenial favorite at weddings and parties because of its instant familiarity to guests who’ve heard it so many times for the past fifty years.